DO YOUR PART! EVERY WATER TO GO BOTTLE REMOVES THE EQUIVALENT OF 400 SINGLE USE PLASTIC BOTTLES FROM THE OCEANS. SAVE THE TURTLES, SAVE THE DOLPHINS AND SAVE OUR SEAS. Take me to Water-to-Go Order Now! To redeem your discount, just order your items by adding them to the shopping cart on the Water-to -Go website and enter the discount code on checkout. If you need any further products or replacement filters you can re-order using the same code and you will receive 15% discount on all items. Water-to-Go Filtered Water Bottles help our environment by reducing the number of single use plastic bottles that we purchase. Refilling your filtered water bottle means that you can have clean, fresh, safe and reliable drinking water with you at all times. Water to Go Filters eliminate 99.9% of contaminants. We love our bottles and would not travel without them. Find out why we use our Water to Go Filtered Bottles for our family. Click Me to read more! What are the Health Benefits of the Water to Go reusable Filtered Water Bottle? 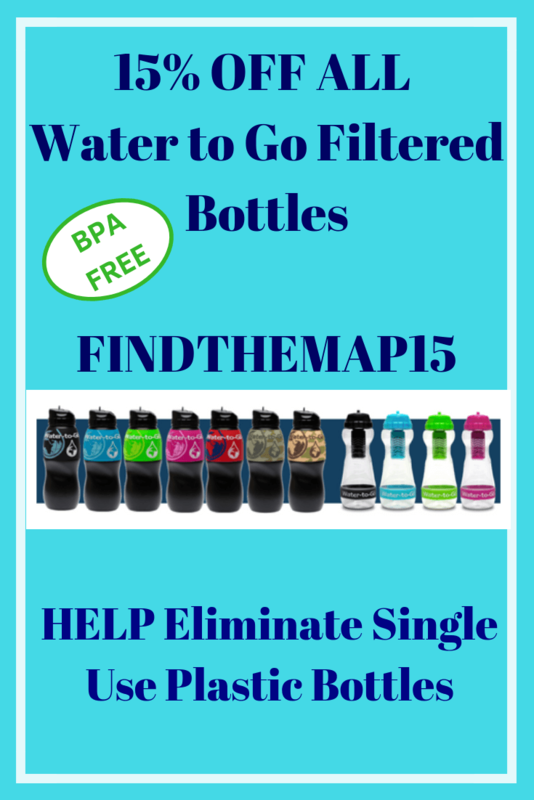 What are the Money Saving of the Water to Go reusable Filtered Water Bottle? 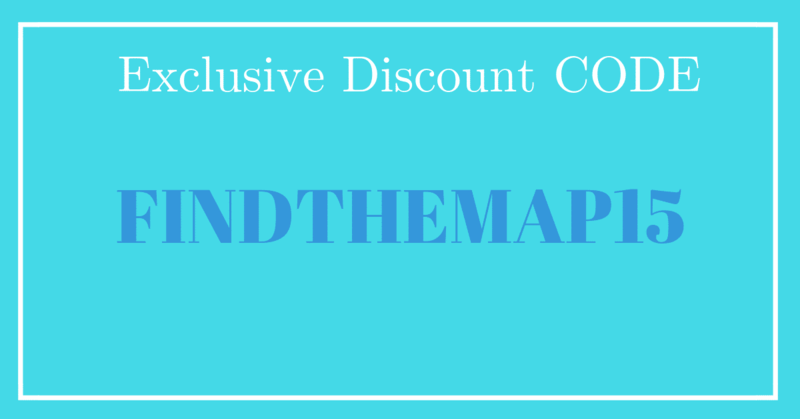 Enjoy a 15% discount on purchases of Water-to-Go Filtration Bottles and Filters for Find the Map Readers.